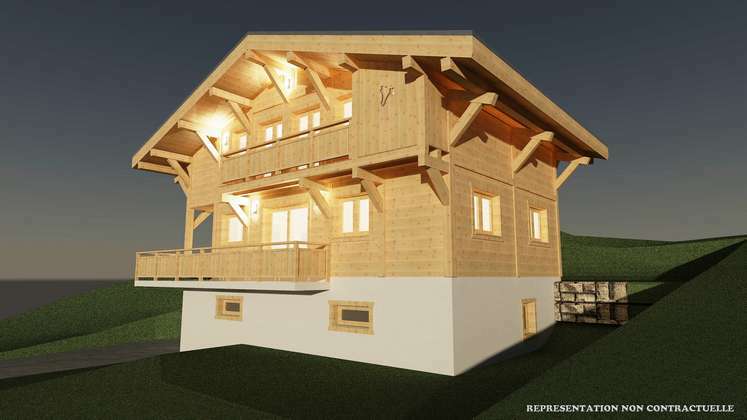 This chalet is being sold off plan by a reputable local developer. 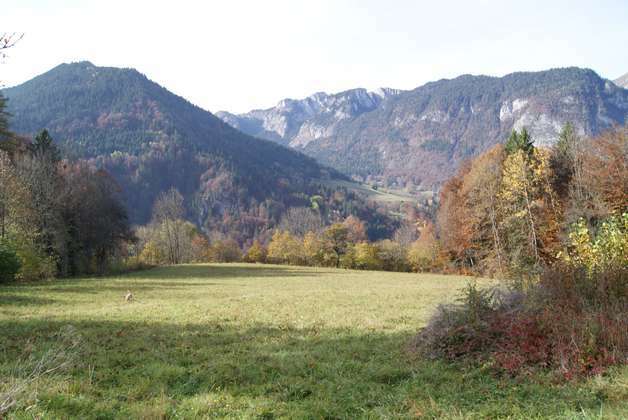 It is well situated within walking distance of the village centre in a natural environment offering superb uninterrupted views over the mountains. 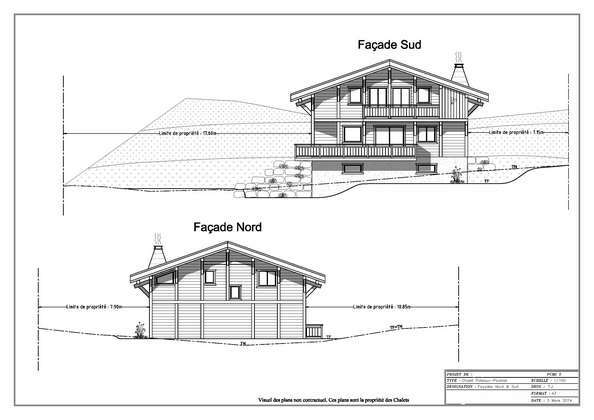 The chalet faces directly south so benefits from maximum sunshine all day long in both the summer and the winter. Level -1: entrance with large corridor, laundry room, separate toilet, a large double garage of 33m2, a 12m2 room which would be left empty but could ultimately be turned into a bedroom with a bathroom or an office, staircase leading to floors above. Level 0: a large living area with lounge, dining area and kitchen (55m2), opening onto the 20m2 south facing terrace via the large sliding doors. Facilities for a fireplace or wood burning stove will also be installed in this area. Level +1: 3 large double bedrooms one of which will be ensuite, a separate large bathroom with bath and shower and an independent toilet, 2 of the bedrooms will have access onto the south facing balcony with uninterrupted views. 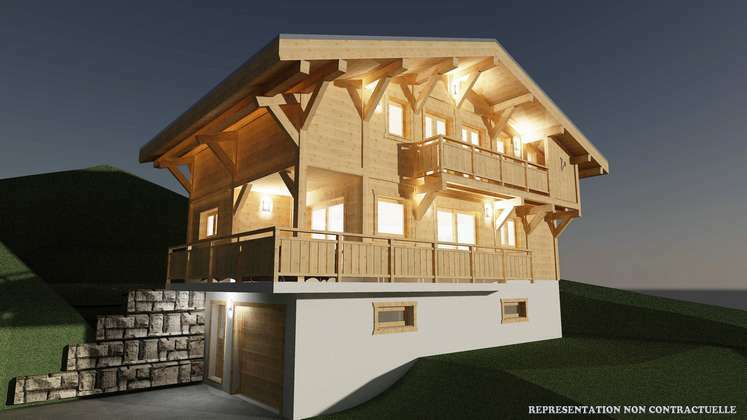 This chalet would be ideal for a principal residence or a secondary residence as it is so well situated just 15 minutes from Thonon les Bains and Morzine, between Lake Geneva and the pistes. The whole plot is 695m2. Reduced notary fees and 10 year warranties. NB: the interior layout could be modified slightly, it would be necessary to liaise with the developer.